Get a queen-like feeling with the Regal Rendezvous Gold Choker that will make you shine out in the crowd with its substantial design that is heightened by kundan and semi-precious stone work. 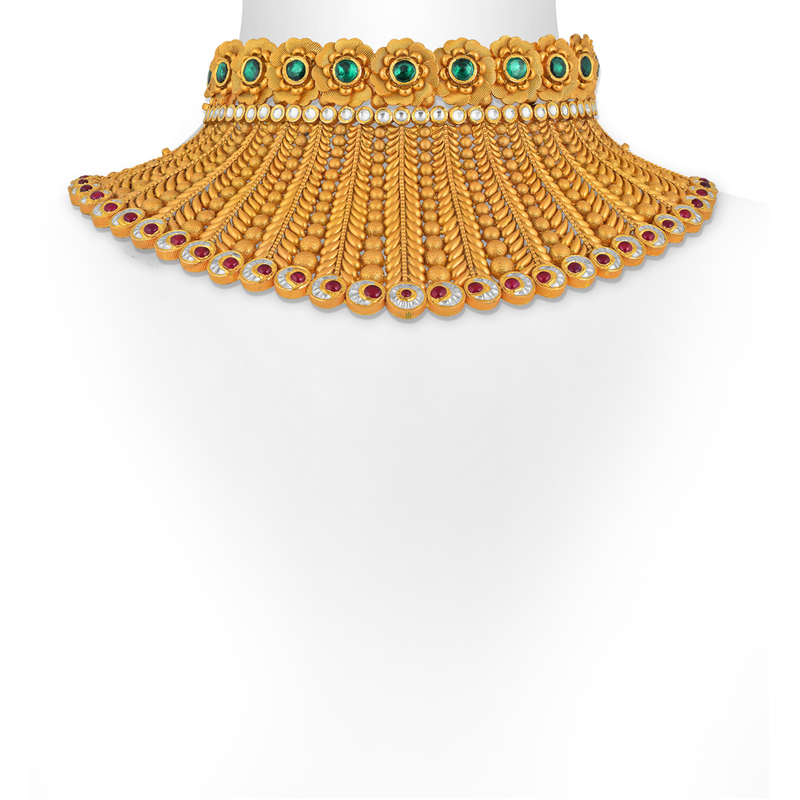 Made with 22KT gold, the choker necklace highlights the balanced assembly of gold geometrical figures and kundan. The royal quotient of the necklace is enhanced by the rose sequence that balances the heftiness of the necklace with delicate floral addition.